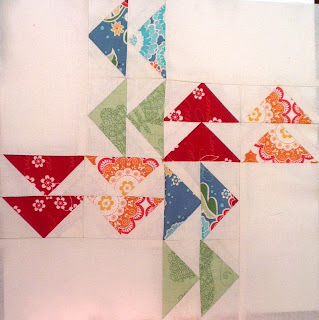 Sew, Stamp, Stitch: Block 1! A few weeks ago I saw that one of the blogs I see on facebook, And Sew We Craft, was having a Quilt-a-long. I want to try out more piecing designs and improve my skills so I decided to give it a go and now I have finally finished my first block! Check out And Sew We Craft for the details of the Quilt-a-long. First (of course!) 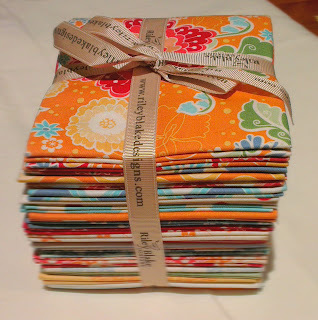 I NEEDED some fabric ;) It just so happened that the weekend I saw the QAL info, I had been looking at a gorgeous fat quarter bundle at Fabric Patch and then they announced it was on special! yay me! 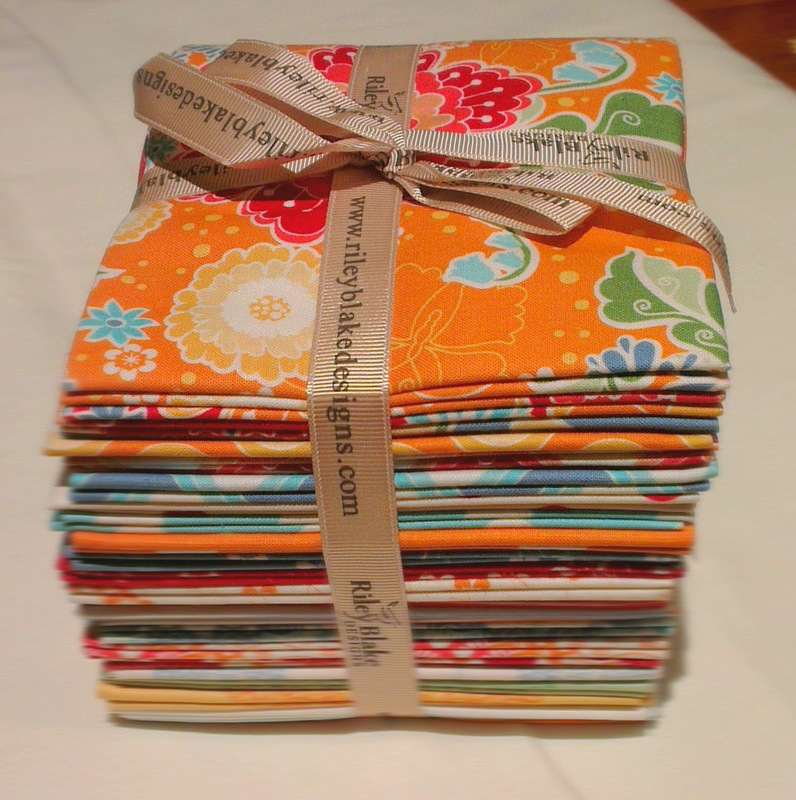 Here is my beautiful bundle of Flutter fabrics by Riley Blake. Once I received my bundle, I picked up some coordinating homespun in a cream colour and then it has sat there for 2 weeks!!! Finally got my backside into gear though, and have completed the block for May ready for the new one in June. 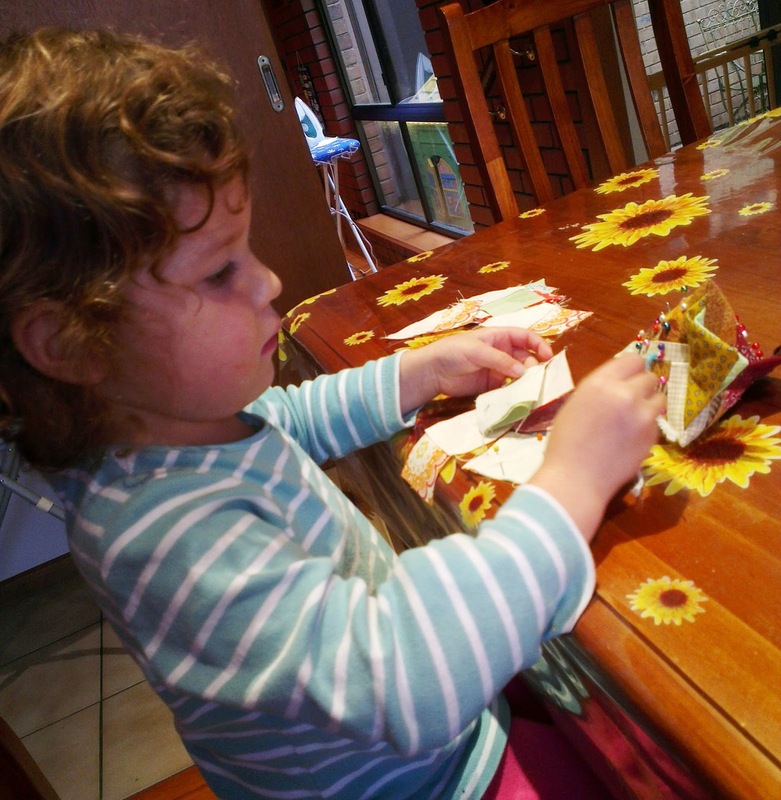 Here is my little helper, she is concentrating hard taking the pins out of the blocks after I stitched the cream squares on. She was so excited to be helping! Slightly wonky of course! But, once it is eventually quilted hopefully that will be less noticeable. 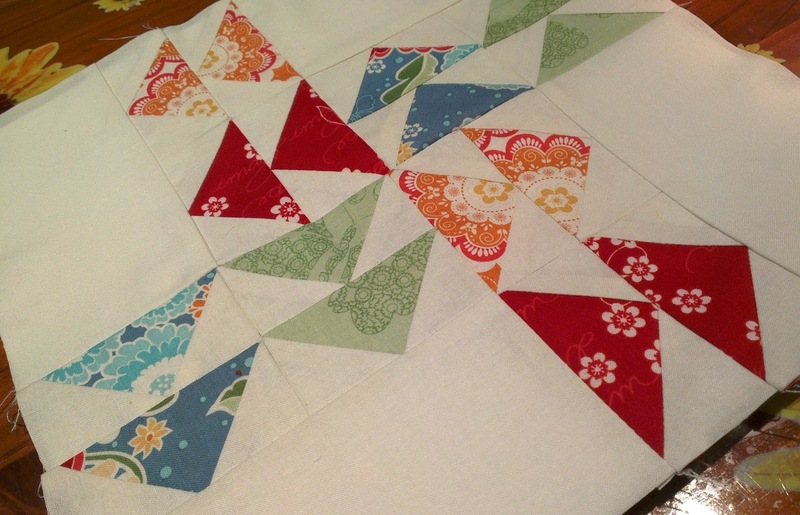 Very excited to see the next month's block now and hoping to get it done earlier in the month this time! thanks! it is just gorgeous, took me ages to decide which 4 fqs to use!!! lol! Ooops! Has it been that long? !